With our partners Sustainability Trust, Tu Kotahi Māori Asthma Trust and He Kāinga Oranga (University of Otago School of Medicine), Regional Public Health delivers Well Homes, one of nine Healthy Housing Initiatives under the Ministry of Health's Rheumatic Fever Prevention programme. 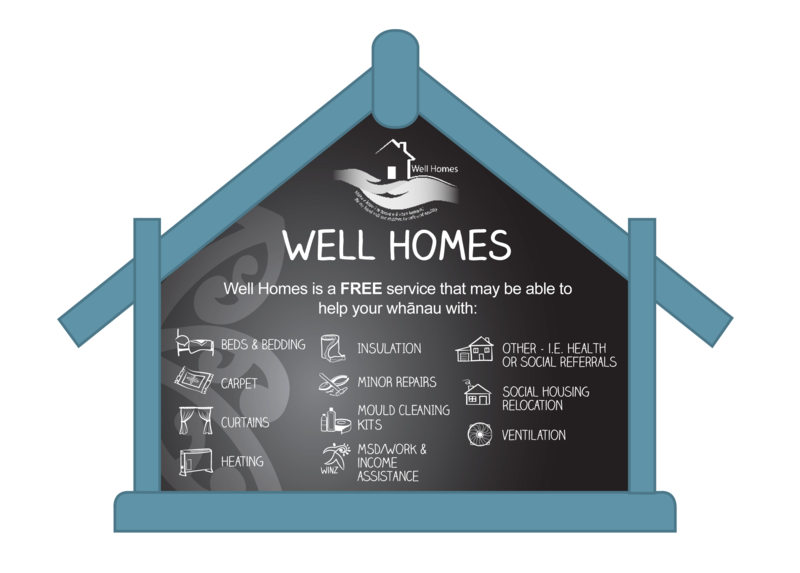 Well Homes aims to reduce crowding and to assist whānau in making their homes safe, healthy and dry. Child wellbeing is our top priority and Well Homes works closely with whānau who are low income, who have children with respiratory conditions or who have been previously hospitalised, and with mothers who are pregnant or who have newborn babies. The Well Homes team carries out assessments with the family in their home and identifies needs which may include structural damage or safety, insulation, heating and curtains as well as provide education around ventilation and how to reduce, treat and prevent mould.